What is coming down the pipe in naval and maritime technology? Not as useful to steal from the ship’s store. The fourth installment in our series on 3D printing’s impact on the future of the world’s fleets. In this post I’ll examine the impact on fleet logistics, complications that must be worked out, and the likely uses at sea. As Matt Hipple pointed out, 3D printing has the potential to affect U.S. Navy logistics by accelerating repair time; reducing costs from excess parts, personnel, and facilities; and reducing costs by transporting raw materials instead of parts – or purchasing the materials at the destination. This new type of manufacturing will also require new contracting business models. Whether the U.S. Navy maintains its own shore-side printing facilities, which I anticipate as likely in order to hone and develop its engineers’ skills, or just incorporates them into ship design, it will need to reach agreement on payment with the companies who design the parts. One likely model is that used in software licensing – either paying per each copy or for each machine that uses the design. This model can also be used aboard commercial vessels and at commercial shipyard facilities. All designs will be easily accessible via a local database, updatable at sea. Not every part might be more economically manufactured on an as-needed basis. High-volume, heavy use items such as fluorescent light tubes or paper might still be cheaper off the production line. It also might not make sense to carry every rare raw material needed in parts with low rates of failure. Even then, if a failure does occur, printed stand-in parts might allow equipment to function at reduced capacity until a true replacement can be installed. For a good many items, however, raw material rather than finished products will be the bulk stock under logistics specialists’ care. This in itself won’t free up too much space as the stocked components are essentially still carried on-board, just in a broken-down form, but it will affect the design of storage areas and reduce excess void space from oddly shaped or packaged pieces (goodbye Styrofoam peanuts and bubble-wrap!). 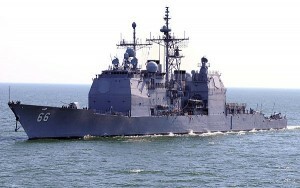 This likewise will impact what supply ships carry, how they are designed, and how they conduct replenishments at sea. It also leads to the interesting potential of self-resupply through mining or reclamation – either through intermediary specialized ships, or through new types of drones. Matt Hipple will expound on this further in a future post. At some stage, designers will begin to build ships with 3D printers embedded aboard. They will need to determine which type is best suited for shipboard use and what core raw materials to keep aboard. They may determine a different type is best for each of the multiple potential uses. What I anticipate are multiple printers in key locations. In addition to the obvious ship supply and machinist shops, repair lockers might see smaller desktop versions that can quickly churn out custom-fitted shoring or patching. 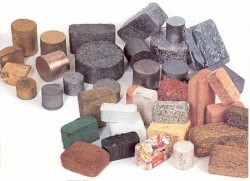 The raw material may be distributed via a centralized system or fed locally. Meanwhile on the messdeck, and in the chief’s mess and wardroom, sailors might soon chow down on printed food, an already demonstrated capability. This could be especially useful for ships with smaller crews with less ability to support a large cooking staff, and could potentially allow a great variety of meal options (though there’s no accounting for taste…). While Matt predicted the printing of human tissue and organs for medical emergencies if current research bears out in the future, this is probably a feature fleets will install only on larger ships or with large medical staffs, as very few personnel would not otherwise get the necessary care from medical evacuations. Initial 3D printer testing could involve a few simple commercial off-the-shelf devices to determine potential uses and problems, but it will be a long road to shipboard integration. New Navy Enlisted Classification (NEC) codes and perhaps even new rates will be needed to fill the technically demanding field of maintaining, operating, and just plain experimenting with the printers. However, the sooner fleets and shipbuilders start looking at the advantages and uses of this remarkable new field, the sooner they can reap their benefits. We’re out of toner again. Third in our series on 3D printing. The U.S. may not have much capability to launch humans into space these days, but in many other ways we are moving towards the sort of future envisioned in the likes of such sci-fi mainstays as Star Trek (if you are just joining this blog – I am in fact somewhat of a nerd). In our smartphones we have a close approximation to the series’ tricorders and communicators, able translate, record data, communicate and scan items. Researchers are even developing the device’s medical scanning functions as apps and add-ons. Elsewhere energy weapons and rail guns are taking shape in the labs of the U.S. military. Even the underlying science behind the series’ most fantastic device of all – transporters, able to instantaneously transmit matter and people from one location to another thousands of miles away – may have been discovered with the recent breakthroughs in quantum entanglement. So it should come as no surprise that another of the series’ future tech is already progressing through very real early stages of development, that of the replicator. In this 3rd installment in our series on 3D printing – also known as additive manufacturing – I lay out my own thoughts on how this very real technology is impacting and will impact shipbuilding and design, particularly for the U.S. Navy. 3D printing will revolutionize the way every piece of equipment for a navy is built, and this starts at the design stage with a focus on decreasing a ship’s weight. First, the way parts can be created using 3D printing, building components as a whole rather than requiring further assembly later, allows designers to mimic the intricate internal structures found in nature to develop extremely strong parts while using lighter materials such as carbon fiber in place of steel. Second, components created a piece at a time in a traditional factory typically require additions like brackets and flanges for handling and for surfaces to bolt or weld the pieces together. Third, designers can create more rounded shapes for system components such as ducting and piping. This not only allows internal ship systems to operate more efficiently, as the rounded shapes are much more conducive to fluid flow than elbow-shaped pipes and ducts stamped out in a traditional factory, but again will decrease weight by eliminating unnecessary system volume. The Economist reports the Navy is already using “a number of printed parts such as air ducts” in F-18s for these very reasons. As maritime professionals know, lighter does not mean weaker, but does mean faster. It also means cost savings from decreased fuel consumption, and increased operational range – less reliance on oilers and brief stops for fuel. 3D printing can bring down costs in other ways. 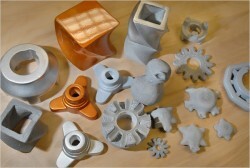 The material savings of additive manufacturing can be enormous. According to The Economist, while traditional manufacturers of parts requiring high-grade metals such as titanium for aircraft can see up to 90% of the costly material cut away and wasted, researchers at EADS show the use of titanium powder to print the parts uses only 10% of the raw material. 3D printers can similarly reduce the costs of creating prototypes in comparison with traditional methods, and because they can make the prototypes much more quickly they allow designers more time to experiment with models of everything from valve handles to hull forms. After the printer is purchased or built, the cost to customize an item or completely switch production is primarily only the labor cost of the design change and the difference in the material. The potential savings are huge to customers such as shipbuilders and navies, where constant updates, upgrades, and requirement changes would otherwise lead to cost overruns. Where does this lead us? In the short-term there will still be many high-volume, high-use parts that vary little and are cheaper to make using traditional methods. But as 3D printers replace assembly lines, ever more complicated 3D printers that can produce greater portions of a finished vessel or aircraft will make their mark on the fleets of the future. Sooner than you think shipyards’ production halls may be transformed into large 3D printer complexes able to print the hull and major superstructure pieces, leveraging the ability to create highly complex internal structures and designs to bring down weight and cost. As most of the ship design and production is nowadays done by defense contractors, sailors may be less aware of these impacts of 3D printing on their experience at sea. In the next post in our series, I respond to Matt Hipple’s and take a look at the much more direct impacts of 3D printing on life at sea, including the potential to shift supply and production from ashore to afloat. Yes, but where are the coffee mugs we ordered? Second in our series on 3D printing. The laser engraver is a staple of ship life. Nametags, space identifiers, and last-minute commemorative plaques can be made within moments. Engraving is a refreshingly quick process in a world of requisition forms, funding codes, mismatched part numbers, and drawn-out waiting periods. However, stateroom labels that conspicuously misspell the ship’s latin motto – as mine did – are only the beginning. The dawn of 3D printing technology will carve away wait times, dramatically decrease the costs of space and part availability, open room for more dual-use technical personnel, and break open a whole new world of possibilities for vessels at sea. Already the buzz of the private sector, 3D printing will quickly revolutionize the way we conduct supply at sea in a variety of ways. 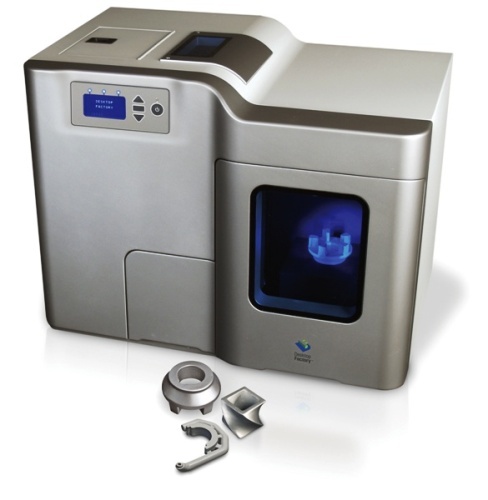 3D printing will exponentially accelerate repair times by the virtually instant availability of repair parts. While underway, simple repairs are at times impossible due a lack of parts. Incomplete repairs often pile up, degrading other systems and crew morale. Even if the time exists to complete the repairs, the parts might not arrive for weeks. With an on-board 3D printer, many of these particular pieces can be produced on demand. Ships’ systems can have their schematics loaded into a database and, using the technical drawing, identify exactly what part needs to be produced. For more complicated or legacy systems, waiting for a rare-produced item or a subcontractor to machine different pieces will become obsolete. More robust shore-side 3D printing facilities will be able to build those systems without requiring legacy facilities or downstream suppliers. 3D printers will eliminate the need for many personnel that lack directly mission-applicable skills. Logistical Specialists (LSs) are often purely administrative, managing the arcane system of forms, finance, and finagling that they have inherited with an unwieldy logistical juggernaut designed to support an entire fleet. A logistics system that simplifies or removes huge swaths of that administrative system with 3D printing will shift the need from LS’s and supply contractors to sailors who specialized in the repair and operation of 3D printers and their software. These technically savvy sailors would be more in-sync for use in the engineering and IT world, where LSs are a rather niche service. Specialization in such equipment could even become an NEC for rates that already exist. Materials are important in war, but until military drones run themselves, the hunger and health of human personnel will be paramount. Military personnel are used to MRE’s, so using 3D printers to create food consumed by sailors and marines would not be a large jump. Honestly, powdered eggs could only be improved by the application of laser science. Perhaps even more beneficial, 3D printers hold out the promise of saving personnel involved in accidents or combat on ships and in the battlefield, where they could one day be used to replicate damaged tissue or even entire organs. Shorter wait-times, leaner overhead, more flexible personnel, and better maintained personnel are only the beginning for 3D printing. 3D printers are capable of making parts that are lighter, stronger, and more efficient than the ones we produce in modern machine shops. Equipment can be made safer, removing typical seams and welds. There mere fact that technicians can see the part before it is produced, rather than waiting months to realize the wrong item has been sent, will remove untold frustrations. Biomining, the extraction of minerals using micro-organisms, also offers promise when combined with 3D printing. The ocean contains especially high concentrations of magnesium, used widely in electronics and engine components. Some raw supplies may, one day, no longer require replenishment from the shore but can be gathered by larger vessels from the sea directly for use. 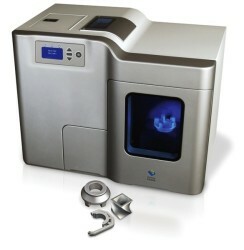 3D printers can produce the guns, grub, and guts necessary to keep personnel operating. General Sherman once said, “Good logistics is combat power.” With 3D printing, we can bring an entire industrial base with us. Matt Hipple is a surface warfare officer in the U.S. Navy. The opinions and views expressed in this post are his alone and are presented in his personal capacity. They do not necessarily represent the views of U.S. Department of Defense or the U.S. Navy. I’ll take a hot chocolate please. A new manufacturing process has the potential to profoundly change the supply chain of the navies. Imagine you’re at sea. A critical component fails in a ships’ main engine. Today you’d likely spend hours scrambling to report the incident and days or weeks waiting for the replacement to be shipped or flown aboard. Now imagine instead you could simply call down to the supply department, tell them the piece you need, and wait as the duty supply officer looks it up in a database and prints you out a new one. Yes, prints. The Economist last week featured a special report on the “Third Industrial Revolution,” including an article on the advent of additive manufacturing, also known as 3D printing. Additive manufacturing creates an object by adding raw material to a base in steps or layers through sprays or other processes. Over the next week I’ll be joined by friend and new contributor Matt Hipple in a series of blog posts to ponder the implications and impacts of 3D printing on maritime security, specifically the effects on the logistics of the U.S. Navy. By coincidence, or the fact we both regularly read The Economist, we discovered we were both working on pieces on the same subject. We hope you’ll be the beneficiaries of this stroke of fortune, and we equally hope you’ll contribute your thoughts to the discussion on this exciting new technology and its potential for the sea.